Our calendar is almost full. Don't hesitate to get in touch and schedule your event. We aim at making your day a special one. Choose from out A la Carte Reception, and entice your guests with delicious hors d’eurves, pastries, and fruit punch. Whether it is a 7-am breakfast, or a late-night dinner, St. George staff provide service for all of our client with care and courtesy. 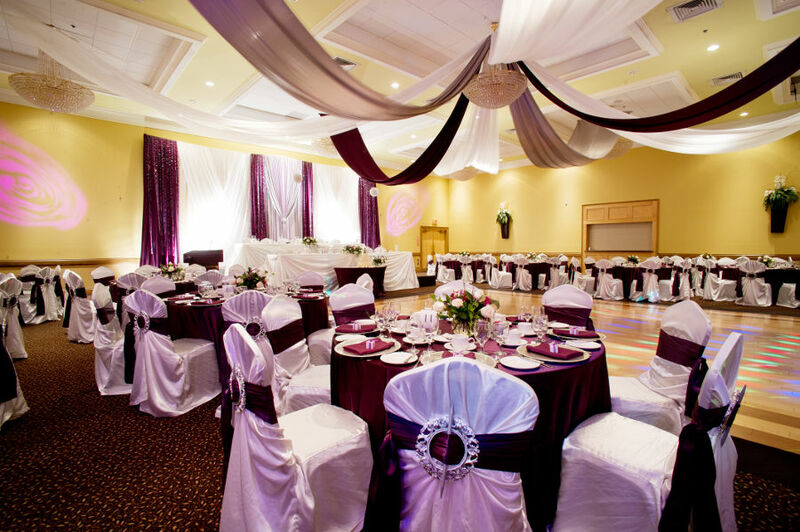 Tailored for all your business needs, St. George Hall offers catering of any size. All of our facilities offer state of the art equipment at your request and all personal requests are also considered. Choose from our Corporate Menu and enjoy our own catering staff to provide you with professional service. St. George Hall welcomes you to the most prestigious hall that Kitchener & Waterloo have to offer. 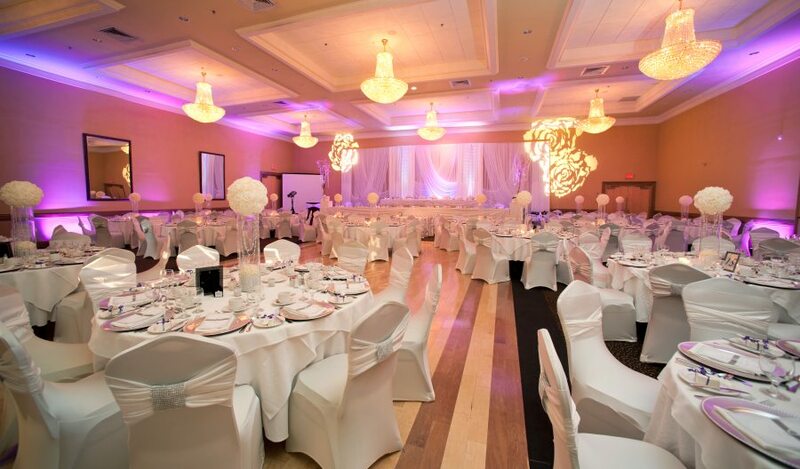 Located in the quiet suburb of Waterloo, yet embraced in a small country environment, St. George Hall offers an elegant ambiance that is sure to capture your heart. 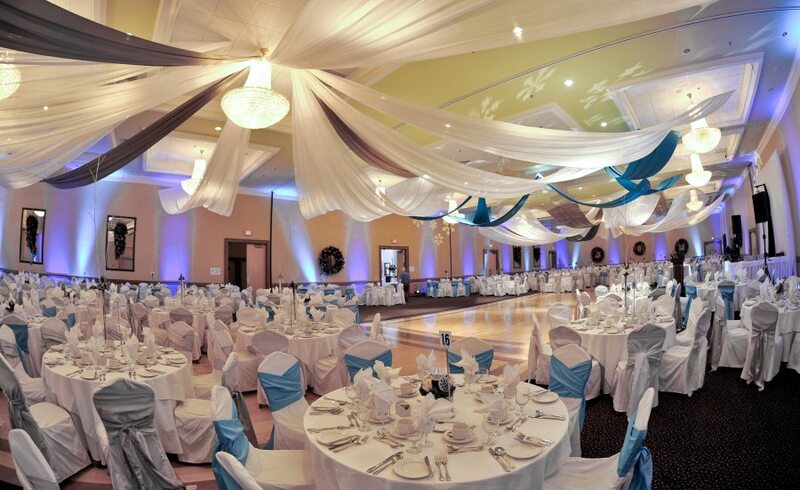 Built in 2006, it is a landmark for hosting everything from multi-ethnic weddings to city-wide conferences. It effortlessly transforms to suit all your social and business needs. Thank you very much for all of the effort you put into making our wedding reception so special for us. It was an evening that we will always remember. Everything from the amazing food, to the setup of the hall, to the service was perfect and that is a direct result of the hard work you put into helping us plan and execute our big day. 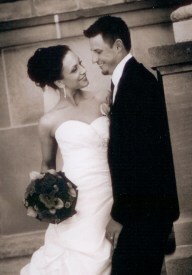 As your clients, you really made us feel special as a bride and groom and we truly appreciated that. All of our guests also had a fabulous time, so we hope to attend lots of weddings at St. George in the future – hopefully some of which will have been referred to you by us.